Hola. Tengo una conexión de cuando mi madre nació en España. ¿Cuál es tu nombre? Mi nombre es Zarah. We are Clara and Marcelo. 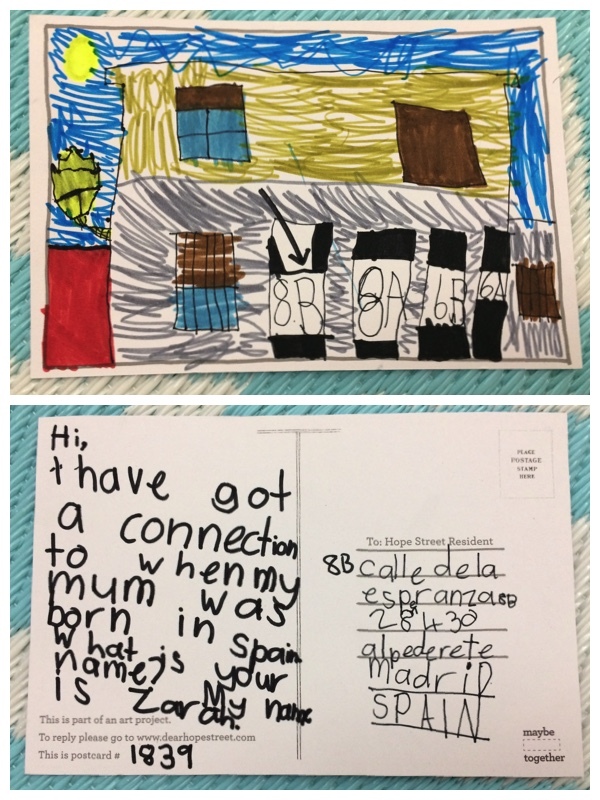 It’s been a really pleasant surprise to recieve your postcard, thank you for choosing our home! The drawing it’s really nice, we’re going to hang it on the door of our fidge! So was your mother born in Spain? Do you know the name of the city?